The Rock n' Roll is an eclectic family cabin with 3 bedrooms and a large, open-plan living space. It's perfect for game nights and movie marathons. 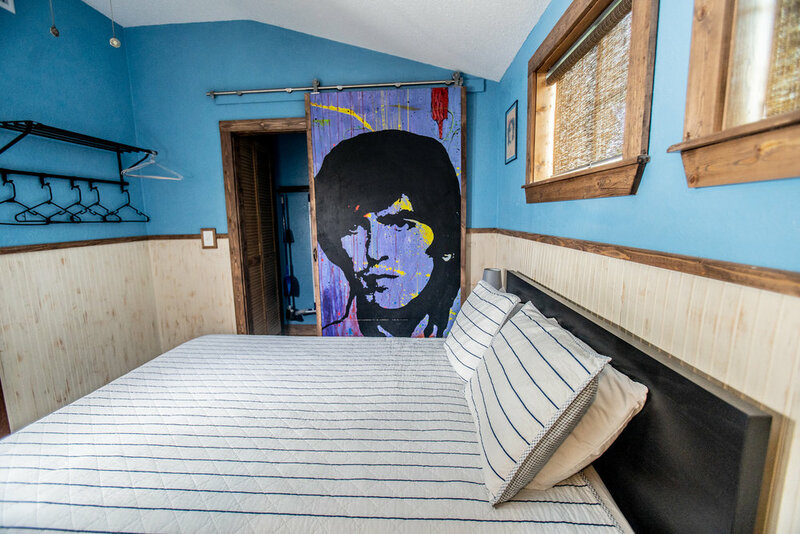 The Rock n' Roll is one of 5 cabins just a block and a half from the beach. 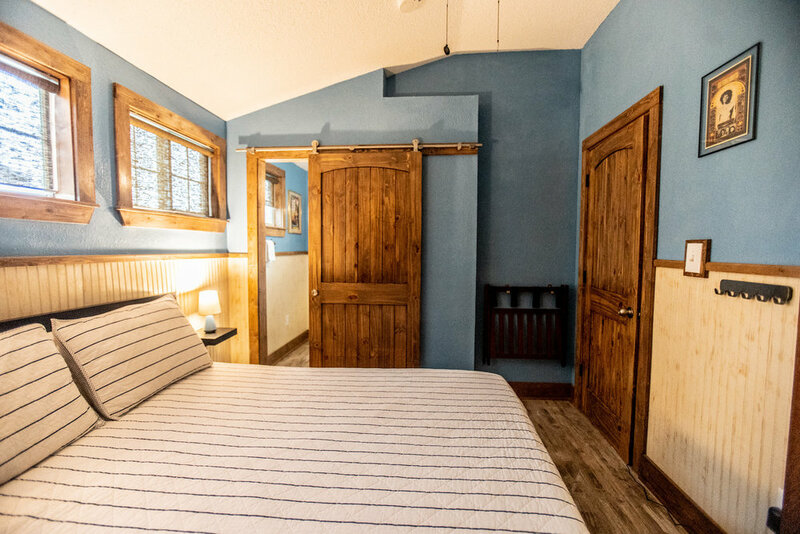 All of our cabins open onto a connecting porch and face out into a courtyard where the kids can run free as you relax with friends. You can usually expect a gentle ocean breeze, so the porch and courtyard are great places to sit and talk or just relax and take a quiet nap. 5 minWe have an onsite manager who will help you out as much as needed. Becky is always ready with restaurant suggestions, directions to anywhere you want to go and anything else you need.